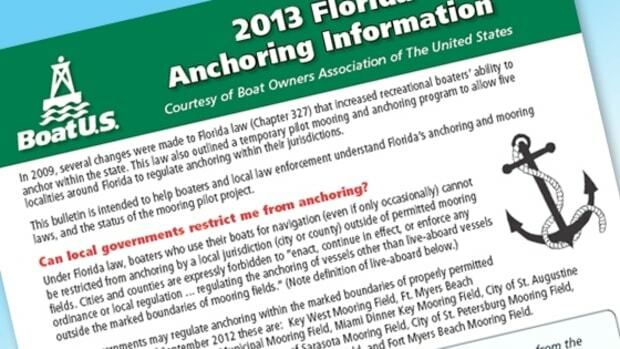 Nearly 12,000 people responded to a survey conducted by the state of Florida as it contemplates re-regulating anchoring. The survey, consisting of 25 questions, was conducted over a 17-day period, ending December 7, 2014. 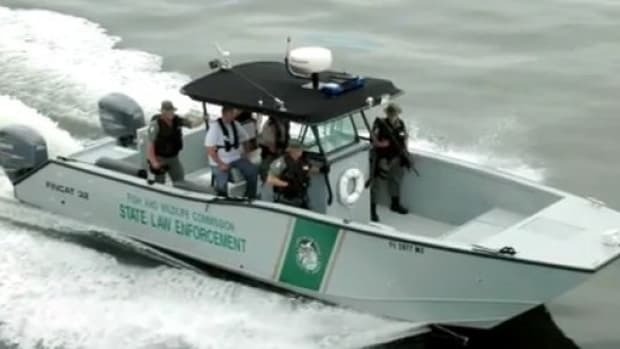 In 2009, state lawmakers enacted legislation that stopped local governments from placing inconsistent and often onerous restrictions on anchoring. Last year, despite lobbying from waterfront property owners, the legislature defeated an attempt to repeal part of this prohibition. 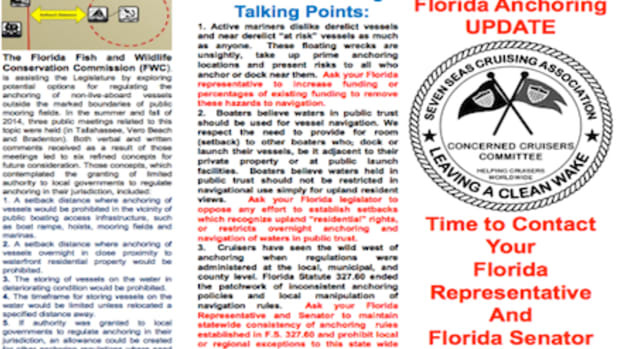 Expect new legislation to be introduced to grant Florida cities and towns the authority to re regulate anchoring based on the concepts floated in the survey. These concepts included enacting setbacks from public infrastructure and people’s waterfront homes, restricting stored vessels based on condition, having a time limit on stored vessels. 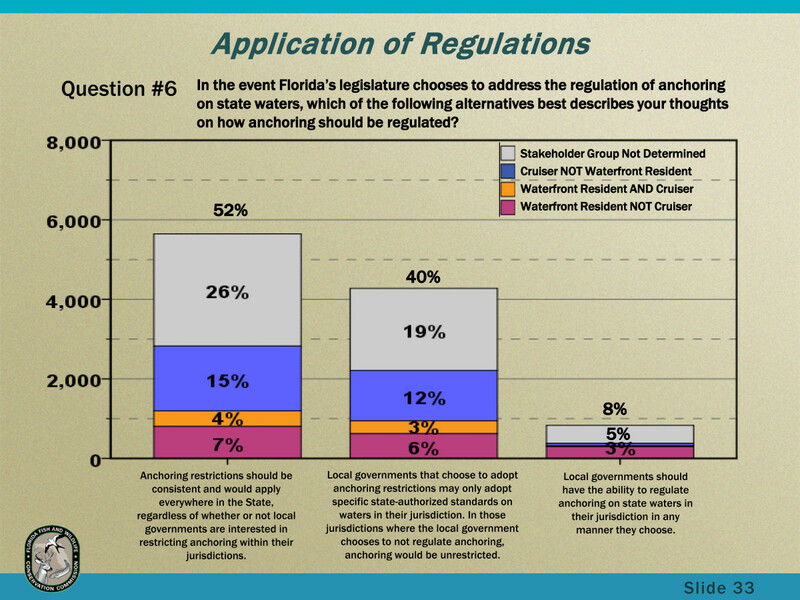 66 percent said local governments should not be allowed to regulate anchoring. 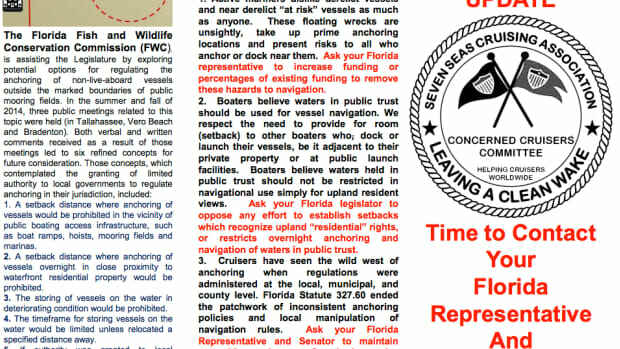 51 percent agreed that boats should be prohibited from anchoring within 150 feet of a private residence between dusk and dawn. 32 percent said the setback should be 150 feet; 49 percent said the setback should be a distance less than 150 feet or there should be no setback at all. 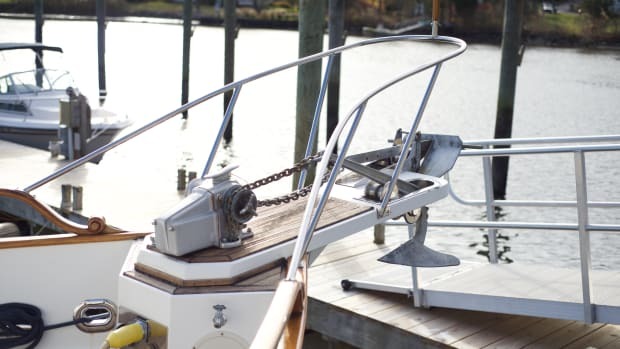 69 percent agreed that owners not be allowed to store boats that lack propulsion, are filling with water, might break loose, or are putting petroleum products or sewage into the water. 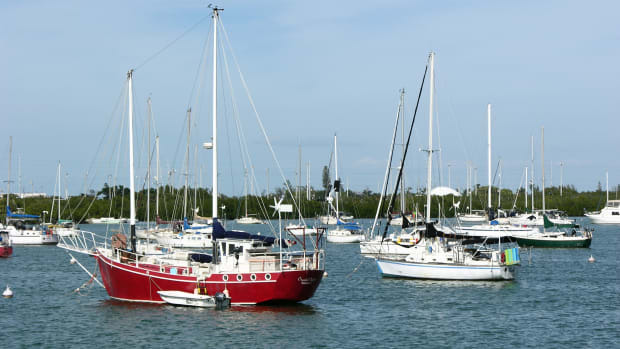 Twenty-seven percent of the respondents identified themselves as cruising boaters, 16 percent were waterfront property owners, 7 percent were both. The remaining 51 percent did not identify their interest in the debate.